Amy is thrilled to begin her fifth year with the southern Indiana high school theatre elite as teacher and Producing Director of Theatre Arts at New Albany High School. A graduate of Ball State University, Amy holds a BFA in Musical Theatre and Dance and has returned from living and working as an actor and choreographer in NYC. Hailing from Floyds Knobs, Amy has performed, directed, and choreographed throughout the Midwest with numerous companies including 3 seasons with The Barn Theatre, Porthouse Theatre, Music Theatre of Louisville, Derby Dinner Playhouse, The Round Barn Theatre, Kandel Theatre Company, The Duplex in NYC, and TheatreWorks of Southern Indiana. Amy has been seen at the Edinburgh Fringe Festival and 6 times at International Thespian Festival, including her performance in the National Cast production of Thoroughly Modern Millie as Miss Flannery. Amy has starred as The Lady of the Lake in Monty Python's Spamalot and Anytime Annie in 42nd Street, in which she also made her debut as a choreographer. A recent return to the stage has added roles, such as Cassie in Rumors and Alice Beane in Titanic, to Amy's professional stage resume. Amy most recently guest directed Jon Jory's stage adaptation of Jane Austen's Pride and Prejudice for Floyd Central Theatre Arts and choreographed the award winning 2013-2014 Providence High School Singers. She helped established New Albany RiverStage Productions in its inaugural summer season in July of 2014 as Director and Choreographer of Seussical the Musical. Amy is also on the Board of Directors at the newly establish TheatreWorks of Southern Indiana in downtown New Albany where she can also be seen onstage in productions such as Neil Simon's Rumors and Big River and Titanic. Amy was excited to join Hayswood Theatre this past summer to choreograph one of the first regional productions of Mamma Mia! When she's not playing director or choreographer to her "kids" at New Albany High School, Amy can be found playing tennis, reading magazines, on the stage, and getting her Masters Degree in Education. Sarah Tubbesing is a native of Lexington, KY and a graduate of the School for Creative and Performing Arts at Lafayette High School. She holds a B.M. in Music Education and an M.M in Choral Conducting from the University of Louisville, studying voice with Edith Davis Tidwell and choral conducting with Dr. Kent Hatteberg. At the University of Louisville, she was afforded many opportunities to sing at national and international choral conventions and competitions. Some of these have included travels to South Korea, Taiwan, China, Germany, Cuba, and Singapore. Most recently, she joined Dr. Kent Hatteberg and the University of Louisville Cardinal Singers on a tour to Beijing, China to assist with choral workshops in 2017. Prior to her appointment as choir director at New Albany High School, Sarah taught choral music at high schools in Fayette County and Jefferson County, Kentucky. Sarah is a member of ACDA and NAfME and is currently serving as a board member for the Louisville Chamber Choir. She has been a staff member for the Kentucky Ambassadors of Music in 2014, 2016, and 2018. Sarah is an active choral performer in the Louisville area. She has sung with various ensembles, including the Kentucky Bach Choir, the University of Louisville Collegiate Chorale and Cardinal Singers, and the Louisville Chamber Choir. She is currently a soprano section leader and treble choir assistant at St. Francis in the Fields Episcopal Church. This is Sarah Tubbesing’s second year as choir director at New Albany High School. She directs three choirs, including this year’s brand new Men’s Choir, and teaches Piano, Music Theory, and IB Music. Sarah is delighted to be a part of the New Albany Theatre Arts team and is looking forward to an exciting season! Bette Weber Flock’s dance involvement spans more than sixty years. She is honored to also be an a part of the NAHS Alumni Hall Of Fame. She received the Life Time Achievement Award from the Southern Indiana Arts Council as well as the Arts Advocate Award for her work with the youth of the community. She was an artistic member and soloist with the Louisville Ballet Company from 1953 to 1965, and has performed with such notables as Mia Slavenska and Prima Ballerina- Assoluta, Alexandra Danilova. Bette was inducted as an Honorary Thespian to New Albany Theatre Arts Thespian Troupe #4501 in 2015. She has had a lengthy career as a choreographer for New Albany, Floyd Central and Providence High Schools, along with many other organizations such as Actors Theatre, Music Theatre of Louisville and community theatre. She is the Director of The Weber School of Dance and has had the pleasure of seeing many of her students working professionally in dance and theatre. 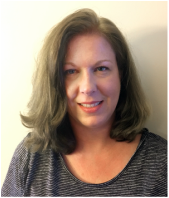 Ms. Flock has the honor of having choreographed sixteen shows presented at the prestigious International Thespian Festival, in Lincoln, Nebraska, as well as choreographing three shows presented at the International Fringe Festival in Edinburgh, Scotland. Two of the shows presented for the Music Theatre of Louisville Rising Star performances, “Crazy for You” and “Seussical” were choreographed by Ms. Flock. Bette has received awards for outstanding service and choreography for New Albany High School and Floyd Central High School theatres. ​​Crit Fisher has over 30 years of theatrical experience regionally as an actor, director and designer. He graduated from Indiana University with a degree in Journalism and a minor in Theatre. He joined New Albany Theatre Arts in the fall of 2014 after spending many years as Technical Director/Designer for Charlestown High School Theatre. His regional theatre credits include: Louisville Collegiate School, Clarksville Little Theatre, Derby Dinner Playhouse, and Bunbury Theatre to name a few. Crit has had some very memorable productions over these years. Some of his favorites include: "SHREK: The Musical", "The Laramie Project", "The Mousetrap", "Les Miserables", "GODSPELL", and "The Baltimore Waltz", for which he received a nomination for a Barbizon Award for Theatrical Design Excellence. Crit is an active member of the Educational Theatre Association as an adjudicator and has been a guest artist at the International Thespian Festival in Nebraska. 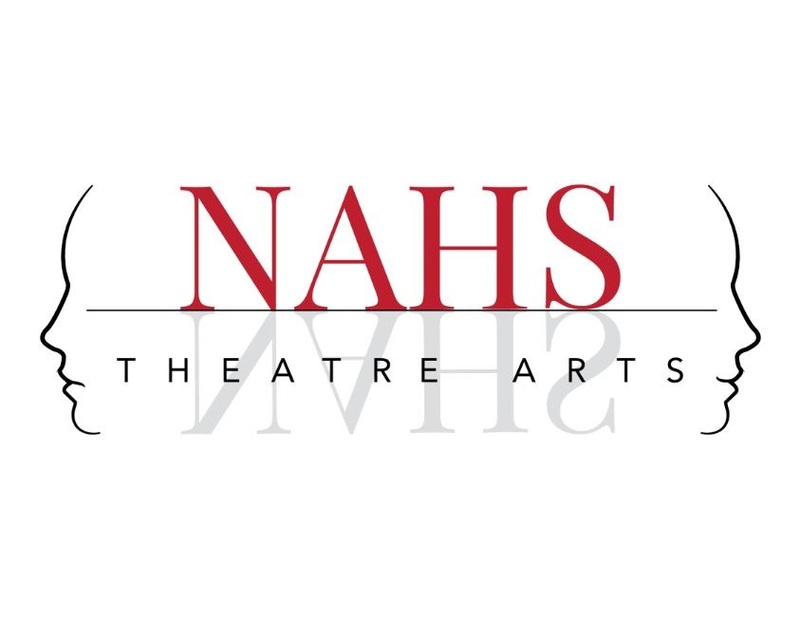 Jeff Falcone has been the Technical Director at NAHS Theatre for approximately 13 years. Jeff is the leader of a group of more than 50, called the Dads With Tools (DWTs) comprised of: dads, moms, grandfathers, grandmothers, sons and daughters. The DWTs are a technical theatre support group that helps numerous theatre programs in the greater Louisville & Southern Indiana area. The DWTs have regular call to help at New Albany H.S., Floyd Central H.S., Derby Dinner Playhouse and CenterStage. Over the past two years, Jeff and the DWTs have worked on over 20 different theatre performances at multiple grade through adult/professional levels. While “Crazy for You” at NAHS was Jeff’s and the DWT’s first contribution to stage theatre he has had significant experience in public television. Jeff was a member of the crew and production staff at WCAE-TV operated by Lake Central High School in St. John, IN. Jeff is the first to admit that he does not work alone; acknowledging a strong collaborative effort among the DWT members. The DWTs have a strong passion and desire to support theatre efforts and the potential careers of the young adults who are participating in their technical theatre programs. Jeff and the DWTs have helped send at least three shows to the prestigious International Thespian Festival as a main stage showcase in Lincoln, NE. Two of the sets constructed under the DWT guidance have been sold to professional, international theatre companies for rental; these include Disney’s “High School Musical Onstage” and “Beauty and the Beast”. 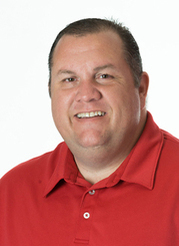 By day, Jeff is an internationally recognized scientist/faculty at the University of Louisville, Health Sciences Center. Dr. Falcone teaches in the Medical, Dental and Graduate Physiology courses as well as researches in the areas of microcirculation, hypertension, diabetes and aging.